Our products consist of various funeral program and card templates in various layouts, sizes, quantity of pages, and themes. They are not only for funerals, but for other precious moments such as graduations, family reunions, the birth of a baby, a marriage, and other times when you want to celebrate life or love, and are printed documents that outlines the key points in the funeral or memorial service and summarizes the life achievements of your deceased loved one. These programs typically have a graphic cover, most times with a photo of the person or family, order of service, poems, thank you notes, scriptures, and for funerals can include an obituary and other special notes. A professionally designed template can help you create the perfect cherished keepsake. See ‘PRODUCTS’ for types we offer. As many instant revisions until we get your approval to print or send. 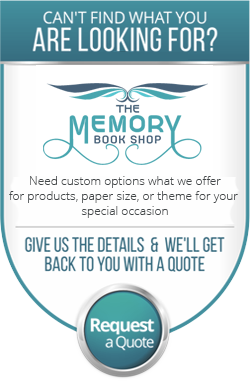 Let us design your memory books and organize the text and photos for you. All you have to do is send us the content and photos by using this form, We then send a completed print-ready PDF file to you for review and printing. This is a perfect option for those who do not have the time or knowledge to download and customize our products themselves. You can choose one of our many ready-made templates or let us design one just for you. We can create special memorial template packages for funeral homes who are in need of a professional design company to deliver quality funeral programs. These are great so you can have a variety of templates to choose from for your clients while also having great cost savings. Contact us today! Also, to see existing Packages in the variety of products we currently offer, please click here or search for ‘Multiple Templates’ in the search box. We offer customization services as a convenience options for those who are short on time or not familiar with Microsoft Word editing. We will enter all the program content and photos for you. We also can design the pages as you would like, with a unique template of your choice. This is offered exclusively for our clients who have purchased our templates. If you’re busy with other funeral preparations, then this is a great option for you, but please allow at least 1 week for this service. We know your pets are an important part of your family. When they pass it can be difficult and a painful experience. Pay tribute to your loved pet by purchasing our selection of pet memorial cards in a variety of beautiful colors. This is a perfect way to remember a faithful pet and you can also share with friend and family members. Many find it better when they laminate them for a more polished and longer lasting effect.